For a practitioner of the creative arts, it's far too many. Some people won't even admit that there's a box at all; the term is meaningless to them. When we're learning to compose or improvise or create anything new out of nothing, no creative artist thinks outside the box. Because outside the box there's a vacuum. There's no rules there; there's no reality there, nothing to interact with there, nothing to work against there. If we set out to do something creative far outside the box, we soon realize that we'll never be able to produce a real work of art from there, and we can't "ship" it from there. To ship our work means to develop the discipline to get our work before the public regardless of what we think of it, so that it might have a collision with the outside world for the better. The only purpose of starting a work of art is to finish it and ship it [See blog, When We Have Art]. 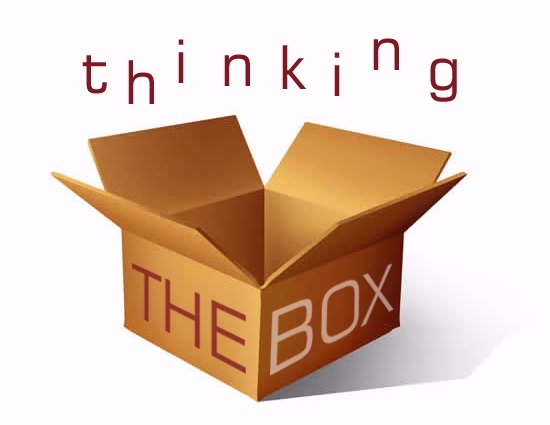 A practitioner of the creative arts will think along the edges of the box, because that's where things get done. That's where the audience is, that's where the means of production are available, the place where the fecundating sap needed to nourish and put forth branches of new productive growth will be found, the place from which our work can make an impact [See blog, Linchpin].